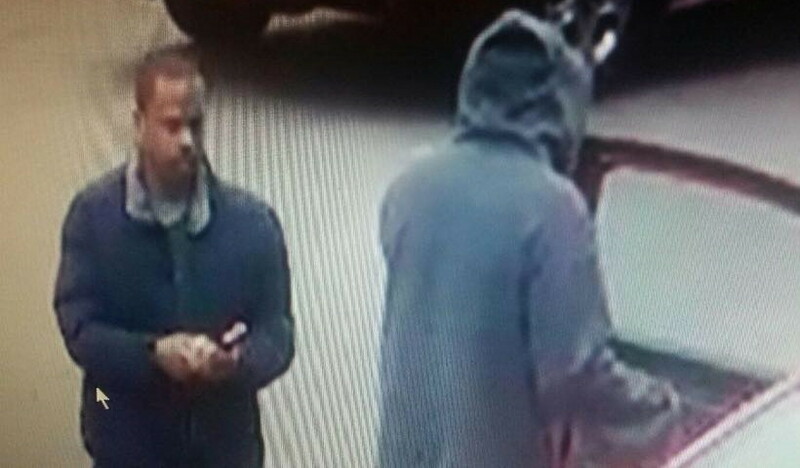 New surveillance photos show two men at a local retail store minutes after they allegedly stole phones and wallets from patrons at area restaurants and coffee shops on Monday afternoon. 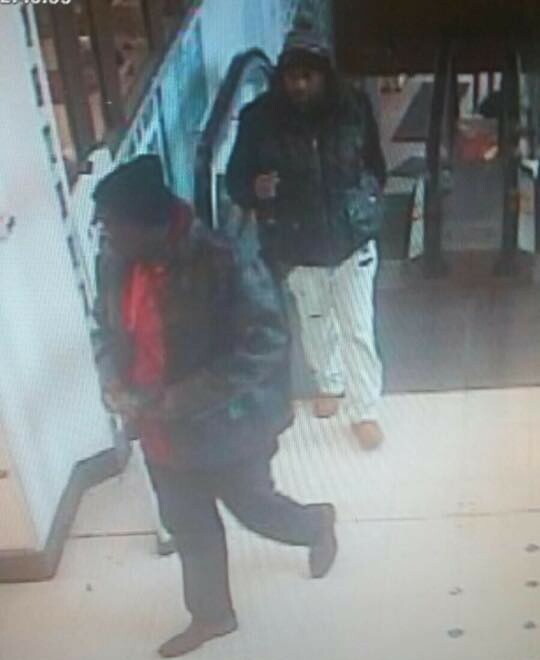 The pix, provided by one of the victims, shows the duo entering and leaving the Marshall's store at Halsted and Clark less than an hour after taking the woman's wallet from her purse inside Intelligentsia Coffee, 3123 N. Broadway. One has to wonder which one of these goofs looks like a "Jennifer" in person, because that's the name on the card that they allegedly used to buy hundreds of dollars worth of goods. 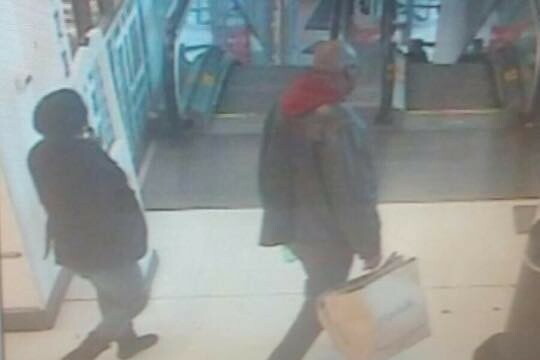 The two can be seen changing jackets and head coverings in the series of photos, which span mere minutes. Within 30 minutes of the Intelligentsia heist, victims also reported thefts of phones and wallets at the nearby Argo Tea and at the Starbucks, 3358 N. Broadway. CWB Chicago's original report on the theft spree is HERE.